1. If you defy him, he looks you dead in the eye. And 2. He's literally got a dead eye; he wears an eye patch after his left eye was shot. 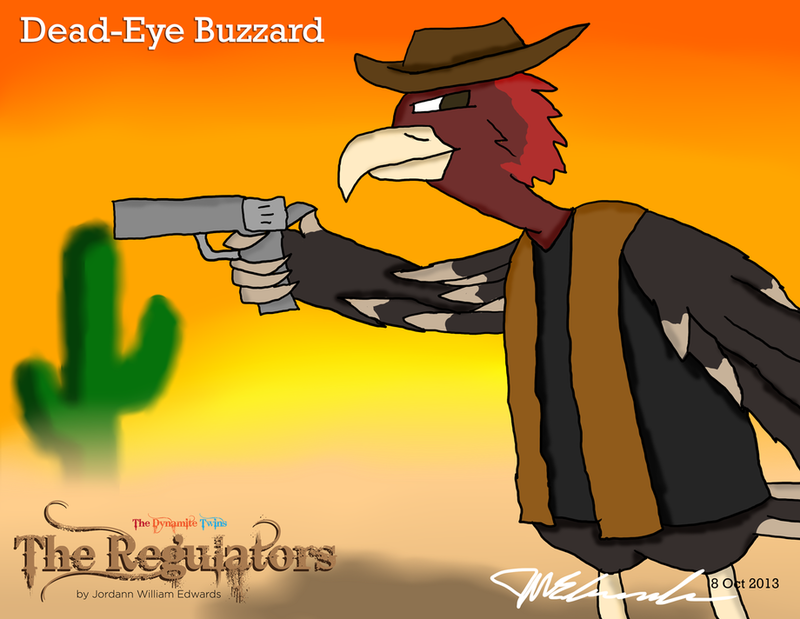 He's the meanest outlaw Critter Gulch done ever seen! ;) And he don't play.